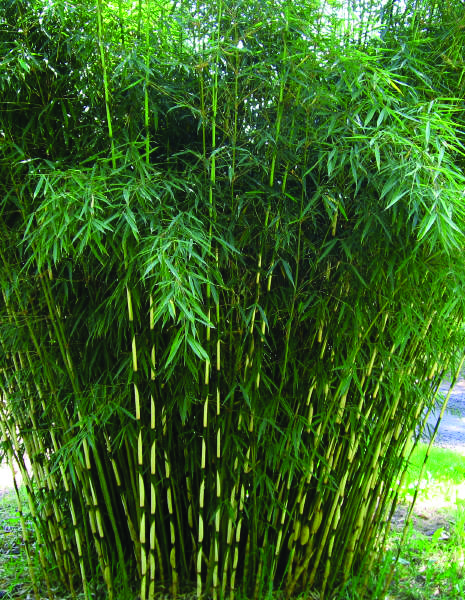 A superbly tough but beautiful bamboo. As you would guess from the name, a particularly robust grower, quite upright in habit. The sheaths are a startling clear white and are outstanding in the spring when the new shoots rise. 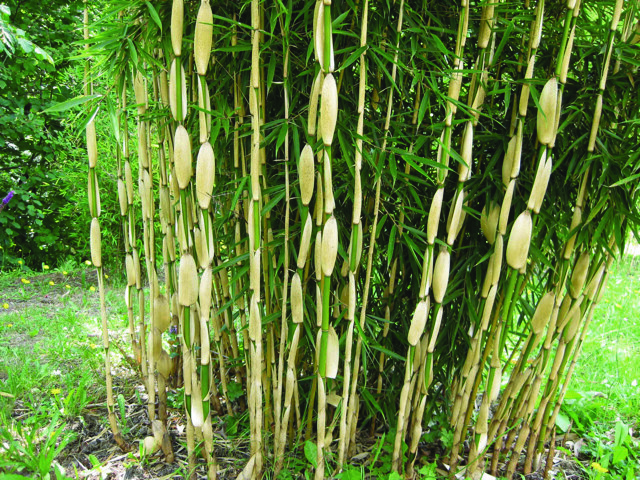 In bamboo terms this is one of the earliest in the spring. Care: Full sun, semi-shade or shade. Fully hardy. 5l version has 4-6 stems and is 60-70cm high. 15l version has 7-12 stems and is 1.75-2.0m high. 30l version has 8-18 stems and is 1.75-2.0m high. Click the button below to add the Fargesia robusta 'Campbell' to your wish list.